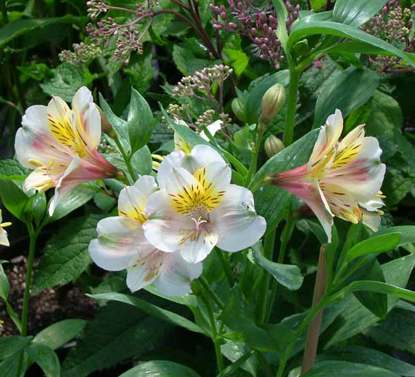 A knockout color rarely seen in hardy perennials. 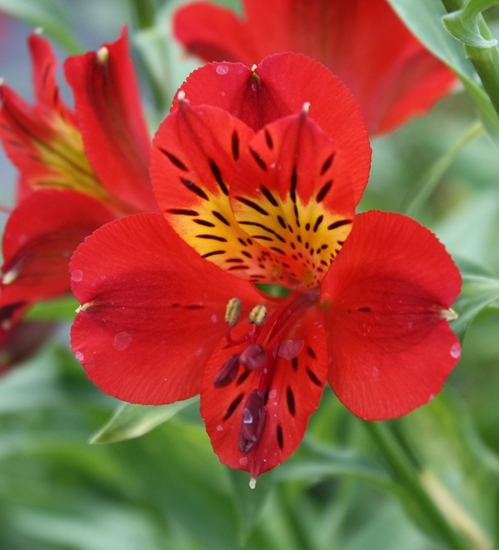 The large (2-3/4" across) tomato-red flowers have a relatively small yellow zone and the usual dark "dashes". 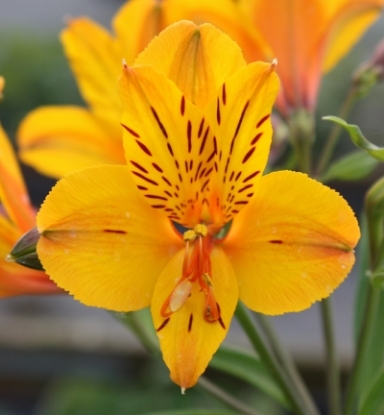 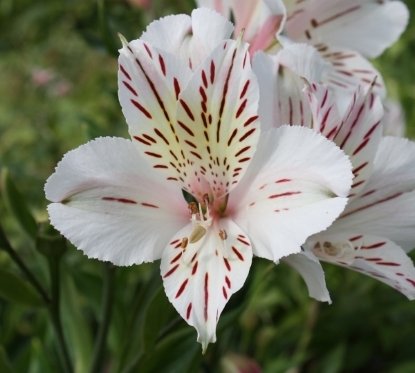 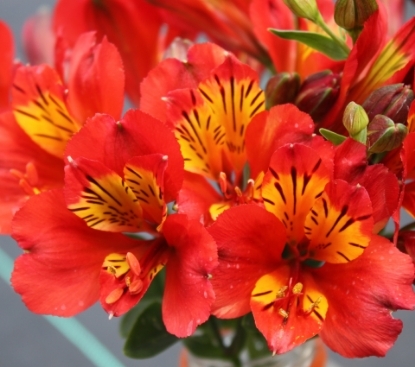 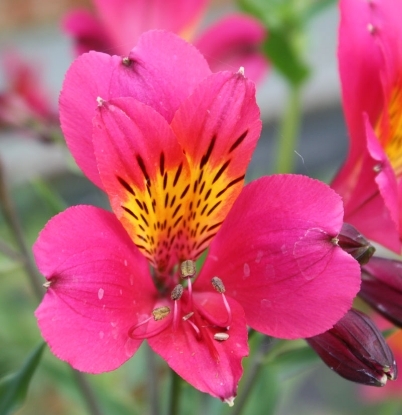 Reportedly hardy to zone 5, we put it in zone 7 for the time being until we can confirm any colder.BEFORE ORDERING, PLEASE read very important information about growing and shipping Alstroemerias on top of the Alstroemeria main page.